Three local craft spirits made the "Top 100 Spirits" list for 2017. And one of them was a sure underdog. Temple, 29, runs the distillery with his wife, Jamie, who is expecting their second son in February. 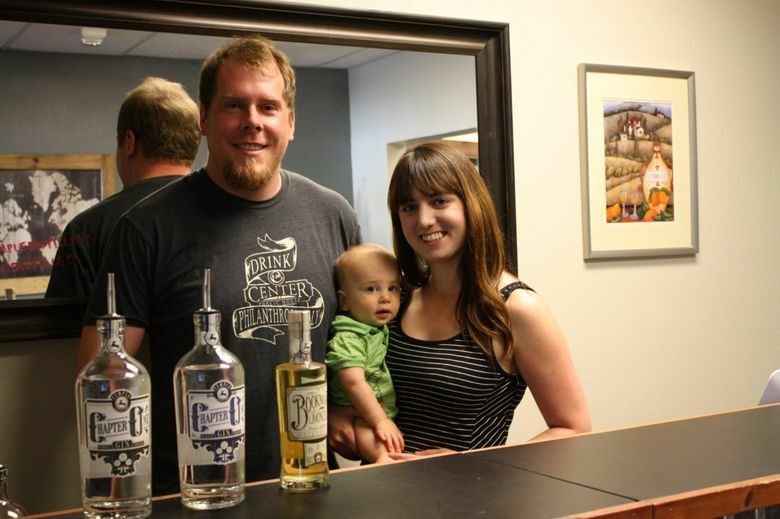 The Bothell couple were high school sweethearts from Mercer Island and attended Seattle Pacific University together before getting into the gin game. The couple’s marketing budget consists of running a tasting room out of a warehouse every Saturday and hitting any event that would have them. Lately, that’s been pouring gin samples at a Total Wine store and doing a few charity events to hawk their four gins. Temple isn’t the only local distillery to crack the Top 100 Spirits list — Westland Distillery and Captive Spirits Distilling also made it. But the Lynnwood distillery was an underdog; it isn’t a household name yet like those two critically acclaimed craft spirits.